Location - The track is located to the South West of central Dunedin and from memory it was around a 25 minute trip when Percy last visited. Generally speaking you want to get yourself on State Highway 1 but take a GPS or a Map as the track is a bit off the beaten track. The track is unusually located in a residential neighbourhood and the road that leads to the track is your typical New Zealand suburban cul-de-sac. Parking - There is adequate parking that extends from behind turns 1 and 2 around behind the back straight. Do be aware the driving skills of the locals is limited. The concept of merging like a zip and letting another driver into the queue doesn't seem to have made it to Dunedin just yet. Either get out early or wait for the queue to disperse before making your exit. Premiere Meeting - The South Island has a very competitive Super Saloon scene so when the South Island series rolls into town make sure you're trackside. The track is well suited to the Saloon classes and I imagine they put on quite the show. 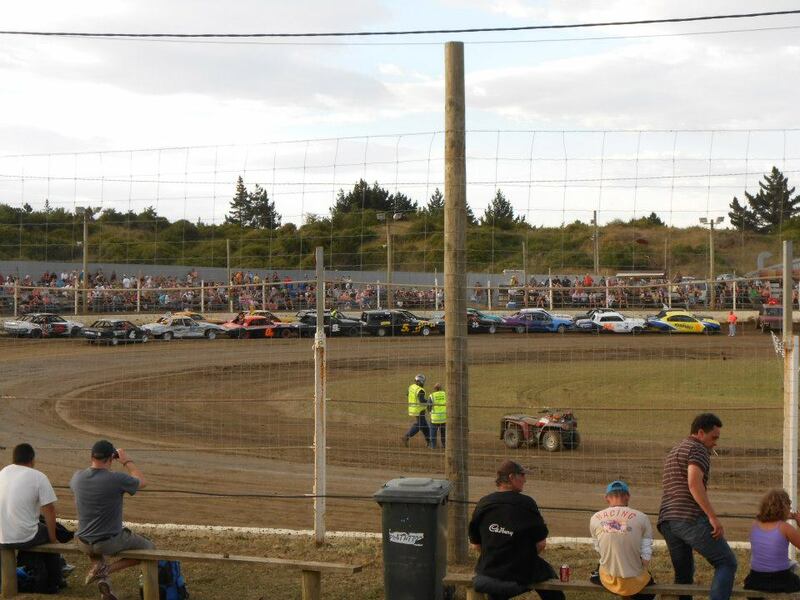 Also worth attending - The South Island DHL Saloon Series (when it runs) and the Sprintcar War of the Wings Series look to be the best of the rest. Best spot to sit - Most of the spectator seating is in turn 1 & 2. Turns 3 & 4 seemed to be largely reserved for vehicle viewing whilst there was sporadic seating down the back straight. 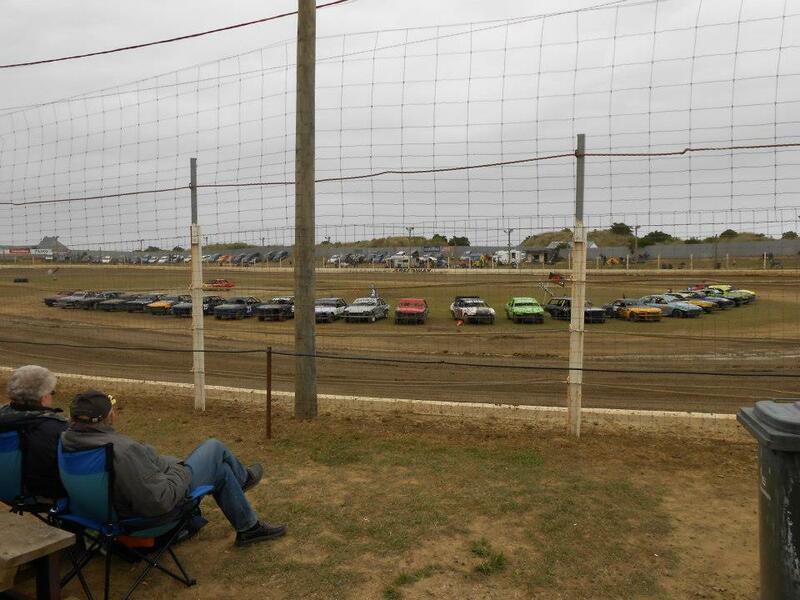 I sat on the exit of turn 2 and found the view obscured by a number of spectators sitting very close to the fence. Aside from the obstruction it was a good spot. 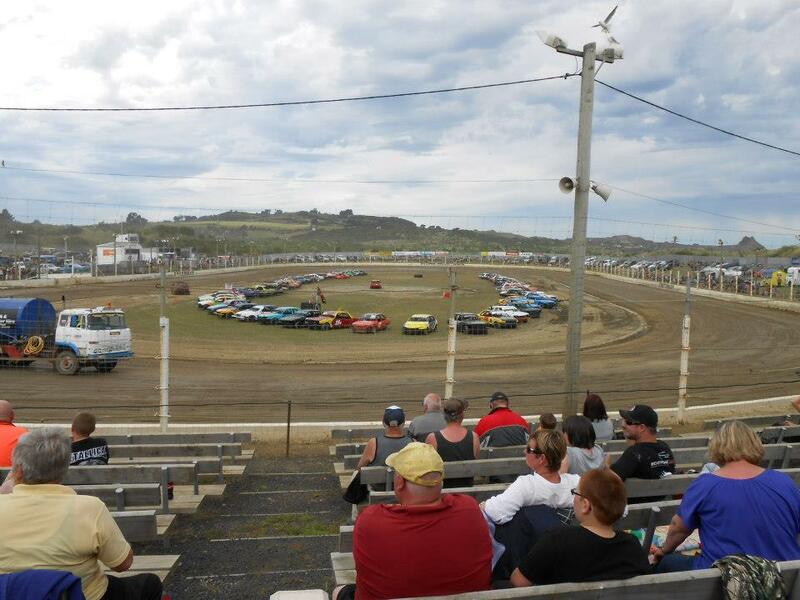 Classes run - Super Saloons, Saloons, Production Saloons, Streetstocks, Adult Ministocks, Youth Ministocks, Six Shooters. 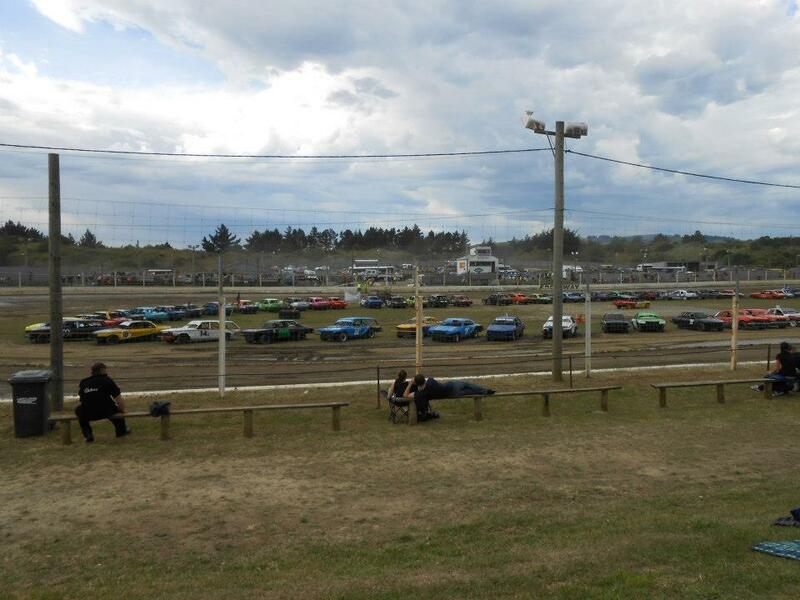 Uniqueness - In essence Beachlands Speedway is similar to Eastern States Speedway in Blenheim. It's two long straights connected by two tight corners. When Percy visited (and in viewing video footage of other meetings) Beachlands Speedway is one of the best prepared tracks in the country. A flat, two laned surface appears to be standard and it's a shame that the track isn't located more centrally as it would attract a wider range of classes and would produce some outstanding racing.